Have you ever thought about making money online? If you’re reading this, you probably have. You may have even investigated various methods on how you could start your own Internet marketing business from home. Now, it is indeed possible to make money this way, in spite of the natural healthy skepticism that a lot of people have when it comes to most “make money online” schemes. 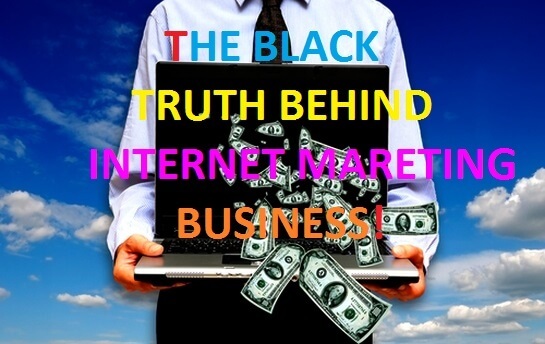 However, just as with any industry, there is a dark underbelly to Internet marketing that most newbies will be totally unaware of.Today we are going to reveal The Black Truth Behind Internet Marketing Business! Sure, you may have an inkling that this sort of stuff is going on, but you may not yet be conscious of it. What does this mean exactly? It means that right now, at this very moment, thousands of people are getting either conned out of their money or being induced to buy useless products. A method that involves extracting money from a customer, but without delivering actual value to them and solving an actual problem, is not very sustainable. Even methods like retail arbitrage are not very sustainable because most niches are flooded with competitors thanks to the opportunities for “easy money,” and the actual act of arbitrage contributes little or nothing to the end consumer, so they have no real reason to buy from you again. Without repeat customers, you don’t really have a good business. Having good sales copy is important, but if that’s all you have going for you, you’re not going to last long. Let’s say you’re selling an ebook, and you used all sorts of innovative gimmicks to beat out your competitors when it comes to your sales page, but the ebook itself is just some useless PLR tripe that the customer could have bought for a fraction of the price. Have you ever wondered why these people who have an alleged “secret formula” for Internet marketing success don’t just keep the secret to themselves and make all the money? Is it because they’re so generous? No, it’s because they make money by pretending to tell you how to make money. Unless you want to learn from someone who can teach you how to make money by teaching other people how to make money and so on in an endless pyramid chain, then steer clear of these “gurus” who promise you easy millions, and then blame you for not working hard enough when you don’t make any money at all. Now, as stated before, Internet marketing can be a viable way to make a living, but you must be careful about who you trust. The Internet marketing world is full of short-term thinkers and con-artists who are out to make a quick buck. These people rarely make a long-term living because they are usually found out to be fraudsters in good time, but there are always others to take their place. Keep on alert and remember, as the old adage says: if it sounds too good to be true, then it is. Is 247-Host Really Reliable Around The Clock? 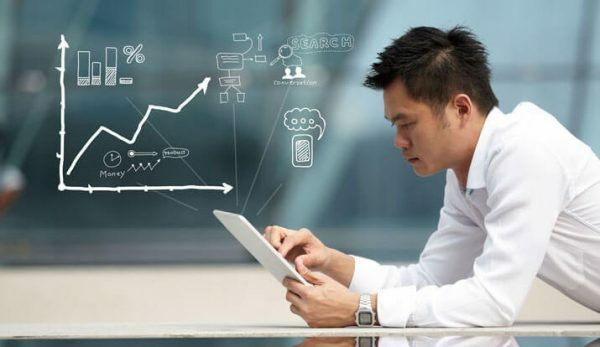 Top 7 Online Digital Marketing Trends That Will Dominate 2017!